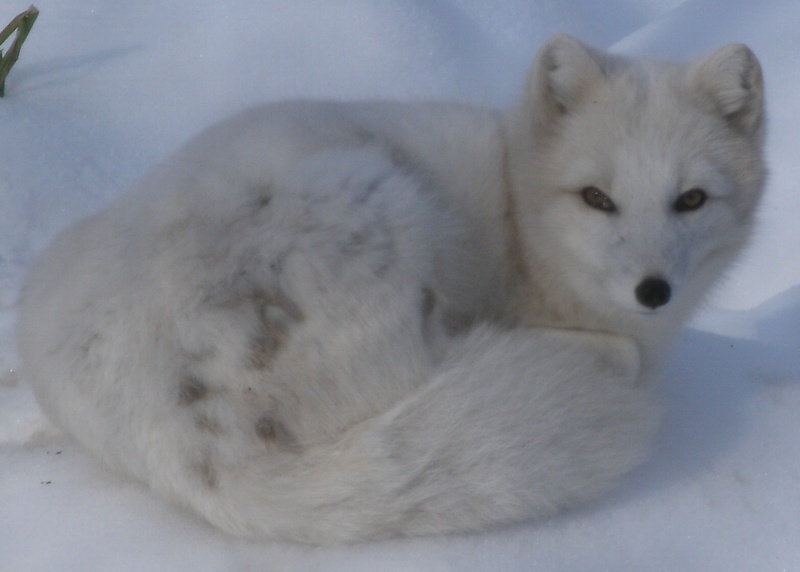 The arctic fox can survive temperatures as low as 60 degrees Fahrenheit below zero. Arctic foxes shed their winter white coats for a brown coat in the summer for better camouflage. Unlike the sleeker red fox, the Arctic fox has a stockier, smaller build with shorter limbs. An Arctic fox tail can be wrapped around the body or face like a scarf while the fox is at rest.